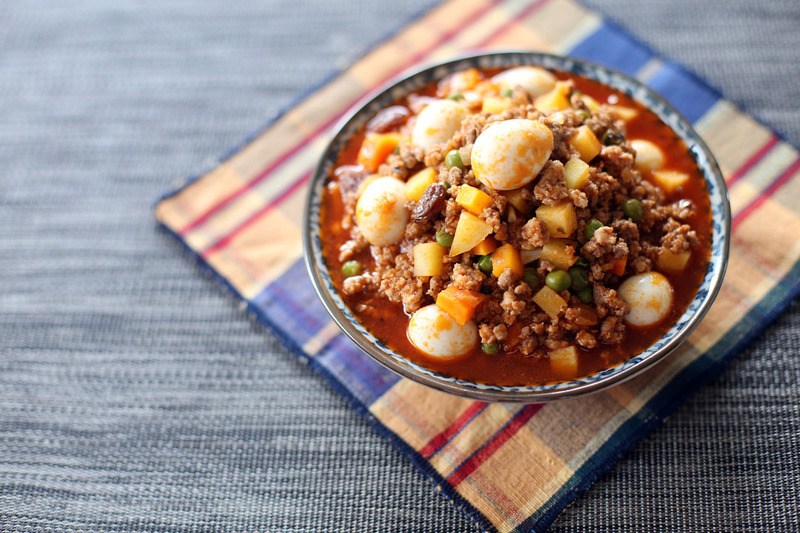 Picadillo is a dish made with minced meat (pork or beef), tomatoes and other ingredients like onions, corn, carrots, peas, potatoes, beans, raisins and capers. Popular in countries with Spanish influence like Mexico, Cuba, Puerto Rico and the Philippines. The name came from the Spanish word “picar” which means to mince into small pieces. Ingredients vary from country to country and it all depends on their local produce, it is usually served with rice or tortillas and sometimes they are also used as fillings for tacos, empanadas and wraps. 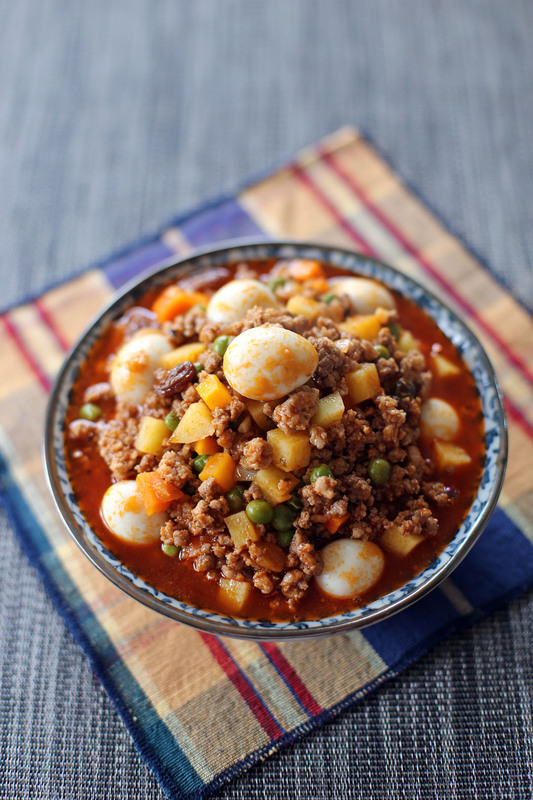 Though picadillo exists in other countries the ingredients can be quite different but there is one thing in common, they all use minced meat and other ingredients are chopped into small pieces. To give some examples I will list below the countries where picadillo is present and what are their common ingredients. Philippines – potatoes and carrots but there are some regions where chayote and spinach are used, it is also common to use fish sauce as a flavouring. Cuba – potato, olives, cumin, capers, and raisins cooked with wine and tomato sauce then served with black beans and rice. Dominican Republic – chili peppers, olives, raisins and hard-boiled eggs cooked with cider vinegar. Mexico – onions and chili peppers cooked with lime and sugar/honey then serve with tortillas. Puerto Rico – ham, cheese, raisins and olives sometimes cooked with annatto oil. Costa Rica – they have different picadillo version where it is usually named with the vegetable that represents the main ingredient. Like this papaya version, potatoes and string beans. Today we will be making the Filipino version but we will be adding some quail eggs to the mix giving it an interesting texture. In a pot, sauté onion, garlic and tomatoes in olive oil. Add minced beef and cook until it turns light brown. Add tomato paste, beef stock, dried sweet basil and bring to a boil then simmer for 5 minutes. Add carrots, peas, potatoes, raisins and dried oregano. Simmer for 10 minutes. Add the quail eggs then season with freshly ground black pepper and salt. What a fun dish! I haven’t had this for years, and now I’m hungry for it. Really good recipe — thanks. Had not tried this before, but it really look good!!!! Thanks . I didn’t realize that picadillo was so different in different countries. Looks like I have some experimentation to do. I love your recipe and some of the other version look very interesting. Great post Raymund! Quail eggs was a great addition. I bet this was delicious! I love a good picadillo, but I confess I’ve only known of the Mexican version. Been meaning to make a version of this for a while – thanks for the reminder – love the idea of using fish sauce as a seasoning – thanks for the remainder! This is one of my favorite packed lunch made for me by my Dad. It looks yummy, good to know for the other versions as well. I love your photos!